In this article, you will learn about the numerous lending programs available to manufactured homeowners for home improvement loans and purchases. We’ll cover 18 separate loan and grant programs plus additional ways you can finance a home remodel. The majority of the programs mentioned are insured or backed, by the federal government. Grants you don’t pay back, loans you do. Homeowners have many unique home improvement loans and grants available to them. Improvement projects can include anything from building an addition to upgrading a heat pump and can cost quite a bit. Thankfully, there are financing opportunities available to you that can help you make the needed changes to your home. We’ll cover the most popular manufactured home improvement grants and loans available in the US. We’ll also cover other financing possibilities that can help you get your mobile or manufactured home remodeled or updated. Some programs are dependent on income or location and may not be available to you but you’re bound to find at least one opportunity that can help you fund your dream and turn your manufactured home improvement project into a reality. Saving up for your future home improvement projects is the cheapest and most popular method to cover the costs of a manufactured home remodel. Financial experts agree that paying cash is always the best option for home improvement projects. While you are in complete control with this route, it can take a long time to reach your goal. The key to a healthy savings account is to make regular deposits and not touch the money. We’ve been saving up for our home remodel for over 4 years and still haven’t reached our goal – something always seems to come up! 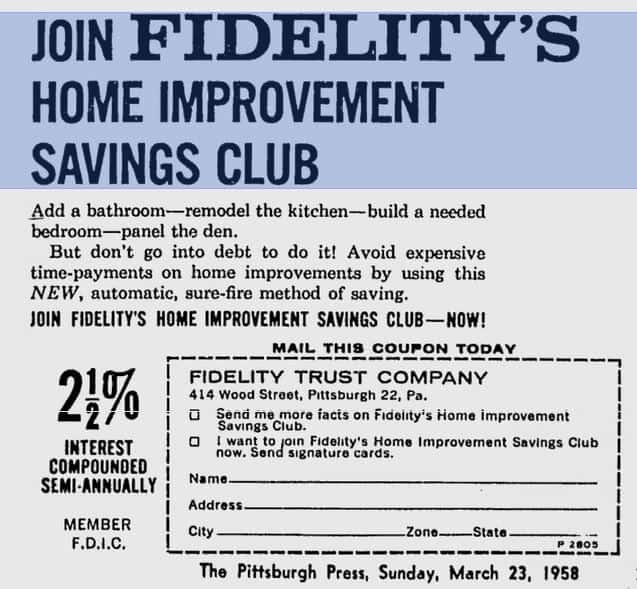 An advertisement for Fidelity Trust Company’s Home Improvement Club in 1958. Some banks have special savings clubs, much like a Christmas Club, for home improvement projects. These clubs usually offer a higher APR or other benefits not available with a regular savings account. Be sure to ask your bank what is available. 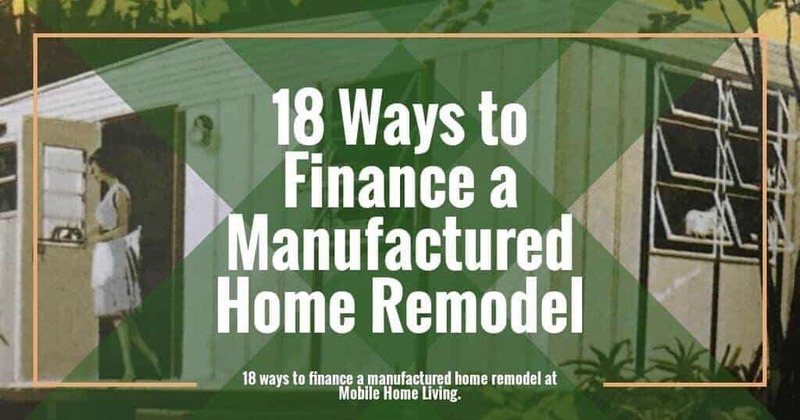 Banks and lending institutions offer many different loans that you can use to finance a manufactured home improvement project. Just about anyone with good credit can find a willing lender but getting the best terms on the loan requires research and planning. First is the unsecured personal loan. These loans can range from a couple hundred dollars to $15,000 or more. They can have a fixed or variable APR. An unsecured loan simply means that you do not have to put collateral up for the loan. The interest rate is typically dependent on your credit score and income ratio. Check your bank, local credit unions, and larger nationally-known lending companies to find your ideal loan. A secured personal loan requires collateral. If you fail to pay the loan the bank receives the collateral. Variables differ depending on credit score, location, and lending institution. Be sure to shop around for the best terms. Related: Secured Versus Unsecured Personal Loans — Which Is Right for You? Home improvement loans are specifically for homeowners that want to remodel or improve their home. They are popular among homeowners because they can be relatively easy to get, especially if your home is financed through the same bank. Before we continue, we need to understand what home equity is. Nationwide describes equity as the difference between the appraised value of your home and how much of your mortgage you have left to pay off. Home equity loans have historically delivered a reliable, tax-deductible cash-stream for home improvements and repairs. Unfortunately, the loans have become more scarce during the latest housing slump but they are making a comeback. We’ll likely see lower rates and better terms in the near future. Home equity loans are sometimes called second mortgages because you agree to pay off the loan over a period of years. These loans typically have a fixed APR and the banks will typically lend you around 85% of your home’s current appraised value minus whatever is owed on the mortgage. Greg McBride, a senior financial analyst for Bankrate.com states, “Lenders are looking for homeowners to retain a 15% equity stake after the loan,” so you’ll need a fairly large amount of equity in your home just to qualify. A HELOC is a revolving line of credit that is based on your home’s value (along with your credit score and other factors). They are best used for expenses that reoccur and have variable interest rates. You can use whatever amount you need whenever you need it, as long as you don’t go over your limit and pay your monthly payments. The draw period is when you use the credit and are only paying the interest accrued on the balance. It’s during this period that you’ll likely pay similar expenses as you did when closing on a mortgage (application fee, title search, appraisal, and points). The repayment period is after the money is spent and you start paying both the principal and interest on the loan. HUD, FHA, USDA, and the VA are all government entities that insure loans available to the general public. To apply for these grants and loans you have to go through an approved lender and meet the various requirements and qualifications specified for each program. The 203k loan is available to buyers that want to buy a damaged or older home and repair it. The rehab loan can be used to purchase and/or repair a home that’s at least one year old. A portion of the loan proceeds is used to pay the seller..or.. the existing mortgage, and the remaining funds are placed in an escrow account and released as rehabilitation is completed. The cost of the rehabilitation must be at least $5,000, but the total value of the property must still fall within the FHA mortgage limit for the area. The value of the property is determined by either (1) the value of the property before rehabilitation plus the cost of rehabilitation, or (2) 110 percent of the appraised value of the property after rehabilitation, whichever is less. To apply for a 203k you must work with an FHA approved lender. You can search the database by state here. Learn more about the 203k rehab Loan here. 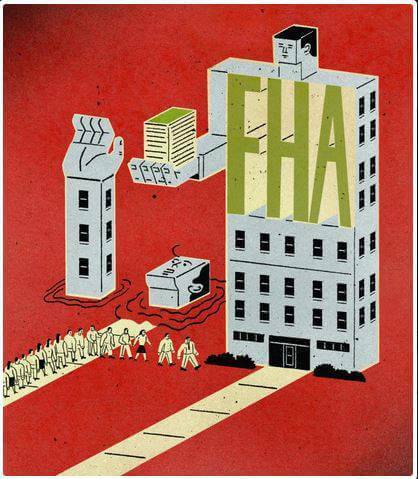 Get a current FHA loan handbook here. The 203k Rehab Loan is basically the 203k loan but the streamlines loan only handles loan amounts under $35,000 to repair, improve, or upgrade a home. Learn more about the streamlined 203k loan here. If your home was located within a designated disaster area you may be eligible for the Section 203(h) program, a program made possible through the Federal Housing Administration (FHA). They insure, or back, mortgages that help victims of a major disaster get their homes repaired as quickly as possible. The FHA requires all applications be submitted to the lender within one year of the declared disaster. A searchable listing of approved FHA lenders nationwide is available here. Homeowners should also contact a HUD-approved housing counseling agency for assistance. You can call them toll-free at (800) 569-4287.Learn more about the Section 203h Mortgage Insurance program here. If the equity in your home is limited but you need to make repairs to your home, you may want to check into an FHA Title I loan. Title I loans can be used for an array of repairs and updates such as wheelchair accessibility improvements, building ramps, or replacing windows. Energy-saving systems such as solar or thermal also qualify for a Title 1 loan. Improvements can be made by the homeowner or s contractor. However, only the cost of materials may be financed if sweat equity is used. Improvements made by contractors are covered for both labor and materials. “the maximum amount for a property improvement loan for the alteration, repair or improvement of a Manufactured (Mobile) Home that qualifies as real property is $25,090 and the maximum term is 15 years. To learn more about the Title 1 loan you should check this page out and search for an approved lender. 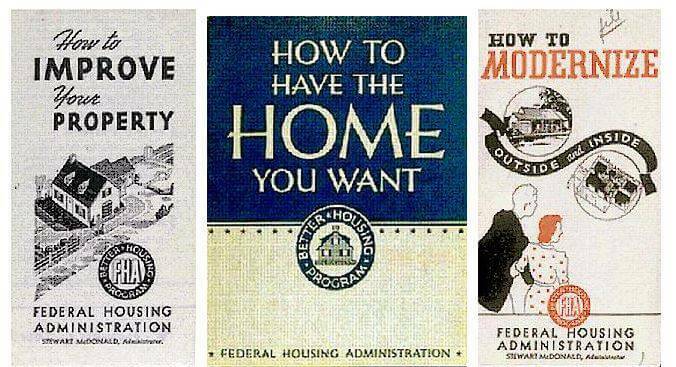 Read HUD’s Fixing Up Your Home and How to Finance It ebook. The FHA’s Title 1 Loan Program Covers Manufactured Homes too! Title 1 loans can also be used to purchase a manufactured home. Learn more about the manufactured home loan here. The Neighborhood Stabilization Program was established by HUD to stabilize communities by offering grants to purchase and redevelop foreclosed and abandoned homes and residential properties. If your neighborhood qualifies you may be able to get assistance with home buying and construction. There’s no specific mention of manufactured homes on the material I researched but there’s always a possibility. Learn more about the program here. 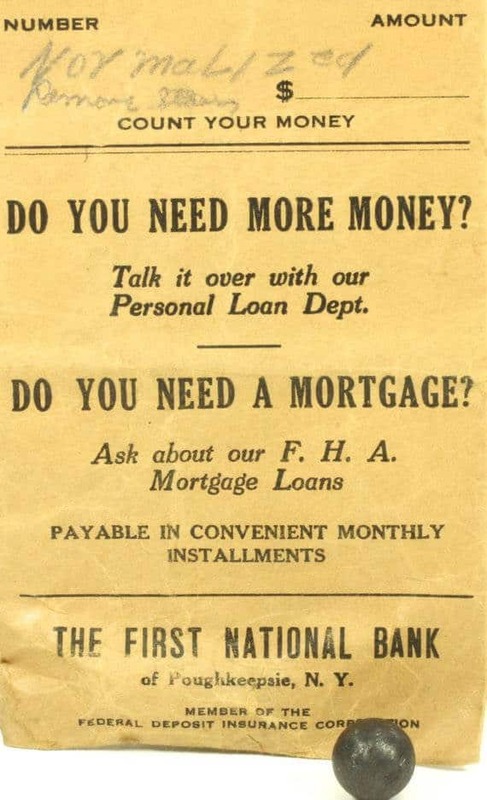 Vintage advertisement for home loans. The Home Investment Partnership Program may be available to you through your state agency. The program evaluates and sets formula grants to States and local offices to fund a variety of activities including building, buying, and/or rehabilitating affordable housing. HUD does not provide HOME assistance directly to individuals or organizations. If you are interested in participating in this program, you need to contact your local or state government to find out how the program operates in your area. Participation requirements may differ from one grantee to another. Find out who administers the HOME Program in your area here. The EEM program allows a homeowner to finance the full 100% of their expenses incurred to make the home more energy efficient. The program uses terms like ‘energy package’ to describe the updates that this loan covers. A package is determined by a formula – algebra finally paid off! They take the total cost of the improvements and deduct the present value of the energy saved over the remainder of the home’s life. At least, that’s how I understood it. Learn more about Energy Star manufactured homes here. Learn more about the EEM program here. Get the FHA’s Energy Efficient Mortgage (EEM) Fact Sheet here. 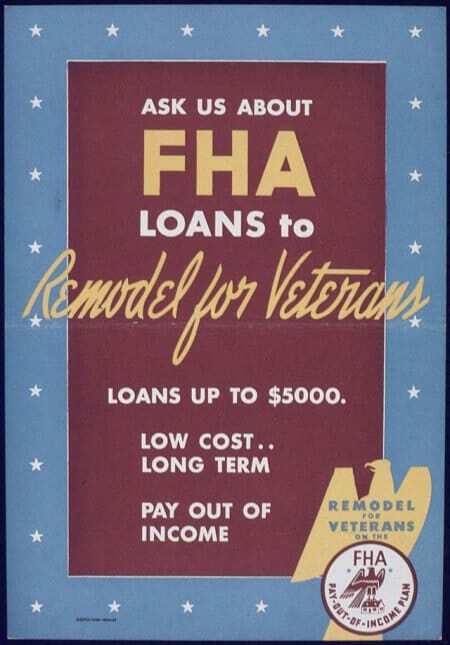 Vintage FHA brochure for their Remodeling for Veterans loan program. For the Rural Housing Repair Loans and Grants Program, aka Section 504 Loans, only low income and elderly that live within a well-defined rural area may qualify. The maximum loan amount is $20,000 with a 1% fixed interest rate. The maximum grant available is $7,500. Loans and Grants can be combined for up to $27,500 in total assistance. Click here to see if you live in an area deemed rural by the USDA. To apply for the loans and grants you must locate a local loan specialist in your area. There are several incentive programs for energy-saving home upgrades. The federal tax credits are probably the most popular – you can credit up to 30% of your costs. Learn more about the qualifications for the energy saving programs here. See a list of state and federal government solar energy incentive programs you may qualify for. The U.S. Department of Energy initiated this program in order to help low-income Americans get help weatherizing their homes. Determine if you are eligible for weatherization assistance here. Find your local weatherization office and see if you qualify for assistance here. Last but not least, are the high-cost credit products such as credit cards and private contractor loans. Honestly, I’m not a fan of either one but sometimes you need new windows or a leaky roof repaired. Sometimes, being able to make home repairs sooner, rather than later, is worth every dime. Contractor loans are very similar to credit cards; they are not secured and typically have a high-interest rate. You may be able to find a larger contractor or supply company that has partnered with a small lending institution and can offer to finance your home improvement project but you’ll likely do better by going to your bank and applying for a personal loan or even a revolving line of credit. With the right planning, you could use a credit card to finance your home improvement project though it’s typically not recommended. It’s always best to quickly pay the balance down before the interest compounds. Bankrate advises that you use a card that offers a cash-back reward program as well as additional consumer protections (extended warranties) whenever possible. Sweat equity is a popular method for tackling home improvement projects and our favorite way to update a home here at Mobile Home Living. Why pay for it when you can do it yourself? If you are willing to do a little manual labor during your home improvement project you can save thousands of dollars. A penny saved is a penny earned! Programs of HUD – PDF listing HUD programs and their requirements. Have you received a government insured loan or grant? Please help us learn more about them by sharing your experience and advice! Thanks so reading Mobile Home Living! I am 60, disabled, and am on a monthly income of $750.00. My mobile home is on a rented lot, and is 18 years old. I have lived here all 18 years, but my home needs the wiring checked and I am sure, updated, my central air has had a leak for the last 4 years or so, so a new one is really needed, my furnace needs replaced, possibly, and I have loose siding a several other issues. I cannot possibly pay back a loan, and it seems there are no grants or funding available for homes on rented lots. An 18-year-old home isn’t that old and once you get the maintenance and updates done you should get another good 18 years out of the home. Let’s take one issue at a time: Your wiring should be a fairly easy fix (no aluminum wiring has been used since 1978 or so) so the more likely issue is going to be loose connections to the outlets or switches. Your central air leak can be a quick repair. There are all kinds of leak remedies for the lines. Your furnace probably doesn’t need to be completely replaced, only a blower motor or something similar and ductwork needs to be retaped (always a good idea). The loose siding can be repaired with a few screws and a screwdriver. If you tackle one issue at a time and get at least 3 estimates to repair you may be surprised that you won’t need to replace. Hi, I just purchased my first mobile home. It’s a 1982, and has great bones. I replaced the sub-floors myself (980 sq. ft.). I am on a fixed income and I do not have a furnace. I am looking for either a guaranteed grant/loan. I am well below the very low income requirement. I am looking to get funds for the rest of the repairs (i.e., flooring, bathroom, ramp entrance to make my home handicapped accessible, etc…). 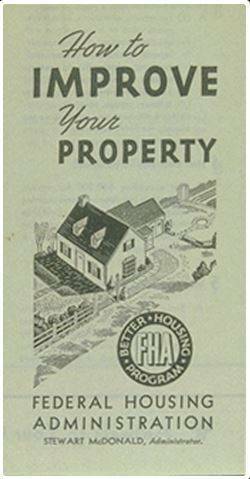 I contacted my USDA Rural Housing Program and they cannot help because I do not own the land. Any guidance would be greatly appreciated. Thank you in advance for your time. God Bless. All the information I have is in this article. Unfortunately, with the 2018 federal budget cuts in HUD and social programs, a lot of these grants and loans have been cut. It can’t hurt to just go down the list and contact the ones you may qualify for. You may want to contact your churches and such. You will be better off to just replace the siding with vinyl or something similar. Especially since it’s falling apart after only 20 years. A lot of the materials used on manufactured homes decades ago are no longer available and even if you could order it from a supplier you are going to spend a ton on shipping. Go to your local mobile home supply store and see if they have anything. If they don’t go to Lowe’s. I doubt you’ll find a cheaper siding than vinyl. My family owns a 2003 single wide that repairs badly. My wife and I have good jobs and make $60,000 +(gross) a year but we have horrible credit and leanders won’t look at us because it’s a mobile home. After reading this it seems that the only real options we have is to just save but we are living paycheck to paycheck and can never seem to get ahead. Any thoughts on what we could do or look into? Your situation is one of the big disadvantages to manufactured housing. Banks just don’t do equity loans without collateral and blood. I was able to increase my credit score by over 200 points in 24 months. If you can do the same you should be able to secure a credit card or personal loan (though having credit issues will always cost you more on interest, though). There’s an agency called Consumer Credit Counseling that has helped a few people I know. They may be able to help you get your score up a lot faster. That will absolutely open more doors for you. It took us 5 years just to get the bare basic improvements done on our single wide because we were living paycheck to paycheck. Every payday we would buy about $150 worth of materials and supplies. I’m still saving for that big kitchen remodel I want though. My parents have an old mobile home that completely paid off and has been for years. The home is a fixer upper. I’m 24, I work fulltime and I’m a full time college student. Are there any grant or loans out there to help me renovate my home? Those are the only I know about and unfortunately with the new administration’s budget cuts several of these loans and grants will be/are no longer available as of Jan. 1, 2018. I know they reduced or gutted the weatherization upgrade programs, the voucher programs, the first-time homeowners program and several others. I’m still trying to find out exactly what programs were affected with HUD’s $13 billion in budget cuts but Mr. Carson won’t exactly answer the question (at least he wouldn’t the other day during a congress hearing). I’ll update the article as I find out. (I’m not trying to get political, just help people know what’s available to them and unfortunately, that list is shrinking). our mobile home had particle board originally used for bathroom flooring and well, that lasted maybe 20 years and we need to replace it. The double wide is paid off, but I have no idea how to get a loan or grant to cover the bathroom renovation. My husband and I make around 34k a year combined. Will that affect our ability to get a loan? You will probably be more likely to get a small personal loan as there isn’t a lot of places that will give an equity loan on manufactured homes. If you have a good relationship with your bank you may have some luck but be careful, equity loans aren’t always a good idea. Make sure you research everything well. Hi, I just bought a pre 1970 Aurora double wide in Huntington Beach Ca. I need it leveled and the roof assessed before it rains. Would like to insulate better and add solar can u help with any suggestions. You should be able to ask your local mobile home supply store for recommendations for a contractor that can re-level the home and look at the roof for you. Just give them a call! You may also be able to call your local manufactured home dealer and get a couple of good recommendations. Make sure to call references! Thanks for nice information share with us, informative post that i like to read your blog. I want to purchase a nice rural property that has an older manufactured home on it that is in need of repair and some renovations. I own a home now but want to get out of the city. We will be selling our current home once we have another to move into. What loans are available for us? My husband is a 100% disabled veteran. I’m pretty sure the links in this article will get you to some good information for buying a home, too. The FHA and Veteran’s Administration have some programs available to veterans and first time home buyers. Contact some local banks and see if any of them work with those programs. If they don’t I bet they can point you in the right directions. Hi Crystal…I own a mobile gone. I’m a senior citizen and in desperate need to remodel. Help me find Grants thst will replace funaces, windows, and interior upgrades. I look forward to uour assistance and will supply you with any information you need to help me. This article should help you a bunch! Just click on the links and follow the directions for each grant/loan. It’s a lot of work to apply for these types of things but the payoff could be well worth it. I’d start with the local and state programs first and then work your way up to national and federal programs. You’ll need to google search your state along with the words home repair assistance or energy assistance programs and go from there. Each program will have their own application process so it will be time consuming but gather all the info before you start and make a day of it! Hi Krystal, This is very interesting, You’re a very skilled blogger. I have joined your rss feed and look forward to seeking more of your magnificent post. Also, I’ve shared your site in my social networks! I’m not very knowledgeable on the financial aspect of mobile home living (I had to get a lot of help while writing those articles) but I think it is pretty hard to get any kind of loan on manufactured homes (at least in WV it is). You may be able to get a personal loan easier than an equity loan. Some states have grants and loans available for older mobile home improvements so you may want to research a bit. I’d contact your local banks and credit unions and see what products they can offer you (just don’t let them pull your credit until you are ready to apply). I just discovered your site a few months ago and just love it! Thanks for the great content. My husband and I recently purchased a very small mobile home park (6 pads total but only 3 pads have trailers on them). The trailers came with the purchase of the park but are all very old (pre-1975) and in pretty rough shape. The park is in a rural area outside of Ithaca, NY. Our hope was to improve the park by either bringing on newer units and/or doing some significant work to the existing ones. Ideally we would do everything at once as to limit the amount of disruption in the park. So my question is do you know of any financing options for developing a small park like this? We do not occupy any of the units so I know that limits our options (but not to say we won’t in the future). I know it’s probably a long shot but just thought I’d ask! USDA Rural Development offers very low income housing repair loans and grants for rural homeowners and mobile home owners in approved parks in some states. NeighborWorks® Homeownership Centers offer home improvement, low cost energy, and septic repair loans in some states. There’s grants for just about anything – it’s dealing with all the application processes that is the difficult part! Best of luck to you! Hi Crystal, Thank You, Your the Best!!!#1!!! Have a Fabulous Day!!! Thank you so much Presey!